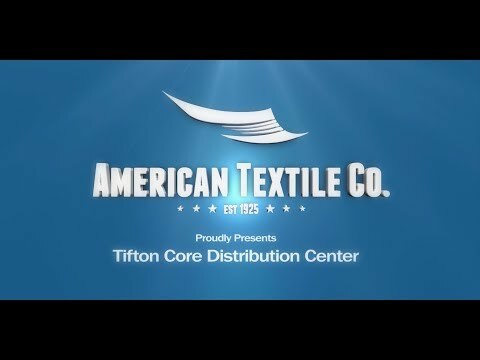 PITTSBURGH, Dec. 3, 2010 – American Textile Company (ATC) continues its growth in manufacturing bed pillows and utility bedding by announcing the opening of a new manufacturing and distribution facility in Tifton, Ga.
We’re Celebrating Our 85th Anniversary! PITTSBURGH, PA – September 28, 2010 – American Textile Company, headquartered in Duquesne, Pa, is proud to be celebrating 85 years in business. Since the company’s founding in 1925, American Textile Company has established itself as a leader in the basic bedding category. PITTSBURGH — September 2, 2008 — As autumn approaches and days cool down, folks begin preparing for the inevitable shift to more home-based activities. For the 62 million Americans who suffer from indoor allergies and asthma, the warmth of home may be anything but comforting. Summer air can draw scores of dust and allergens into heating ducts, curtains, bedding and carpets — all of which unleash their fury with the first blast of heat from your furnace. PITTSBURGH – June 9, 2008 – American Textile Company (ATC), a leading manufacturer of quality mattress and pillow protectors, bed pillows and mattress pads, recently launched two initiatives that will reduce its impact on the environment and help the company to pursue environmental excellence and greener practices. Pittsburgh, PA – February 9, 2007 – American Textile Company (ATC) celebrates today the completed expansion of its headquarters — a $9.2 million project, which added more than 83,000 square feet to its now 107,000-square foot distribution facility located in Duquesne. PITTSBURGH, PA – January 16, 2008 – American Textile Company (ATC) has continued its growth in the bed pillow business by recently expanding the company’s Salt Lake City, Utah production, and shipping facility. This has added new jobs to the Salt Lake region. Pittsburgh, PA – November 26, 2007 –American Textile Company (ATC) is donating $120,000 to breast cancer research and awareness programs. Pittsburgh, PA – October 3, 2007 – American Textile Company (ATC), a leading supplier of utility bedding products to United States and Canadian retailers, announced today that it will open a new production and shipping facility in Dallas, TX. PITTSBURGH, PA – July 23, 2007 – American Textile Company (ATC) continues to pioneer the bedding industry by moving west to open a new production and shipping facility in Salt Lake City, Utah.